CMMC Employee Health provides the highest standard of services to our greatest asset – our Employees. We endeavor to promote a safe and healthy work environment of good morale and overall wellness and health for our workforce, which in turn positively impacts the health of our community. We take care of our employees’ health, so they can take care of our patients! 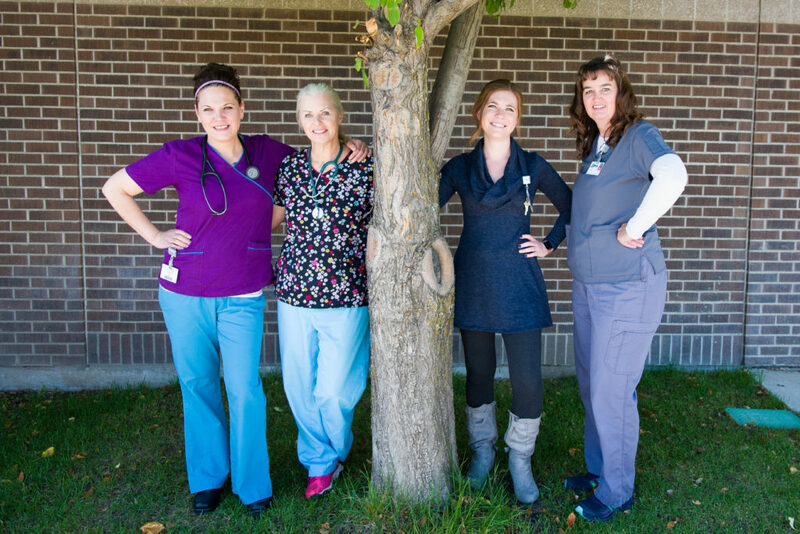 The primary activities of Central Montana Medical Center Health Services are to provide the highest standard of occupational health services for employees and volunteers. This service is intended to promote a safe and healthy environment of good morale and overall wellness and health for the facility and community. Monday through Friday 9:00 a.m. to 5:00 p.m., appointments preferred. Pre-employment PPDs are required for all new employees before they can begin work at CMMC. One-step PPDs are needed for those individuals who can provide written documentation of TB testing in the previous 12 months prior to employment. A Two-step PPD is required if no previous testing has been completed in the last year. PPDs must be read by a physician or nurse within 48 48-72 hours after placement. You MUST have the PPD read to complete the screening. Having it placed and not read invalidates the PPD and it must be repeated. Only those who complete the reading are considered compliant with the TB screening requirement. All employees must complete the Annual Tuberculosis Signs and Symptoms questionnaire each year for the duration of employment/placement with CMMC. This requirement must be completed electronically and submitted in order for employees to receive their annual evaluation. Once you submit your questionnaire, it will be reviewed by the Infection Preventionist and the EH nurse. If your questionnaire highlights symptoms of concern, the nurse will contact you. Otherwise, the form information will be approved by the nurse and filed in your CMMC Health Services record. and in the Human Resources. record making you compliant with the annual TB screening requirement. Human Resources will then be notified you have met this portion of compliance for your annual evaluation. If record of vaccinations cannot be obtained, CMMC will provide titer testing to identify immunity of MMR and varicella, at no charge to the employee. Titer results must be completed prior to beginning employment. If an employee has not received the adult booster vaccination of Tdap, CMMC will provide this vaccination free of charge to the employee. Hepatitis B is a serious infection that is easily spread through contact with the blood or body fluids of an infected person. Hepatitis B vaccine can prevent Hepatitis B and the serious consequences of the infection. It is highly recommended for any employee that is occupationally exposed to blood or other potentially infectious materials, including the risk of needle sticks. CMMC provides this vaccination series free of charge to all employees. In a continuing effort to protect our patients as well as the employees, students and volunteers that make our organization great, influenza vaccination is strongly encouraged. 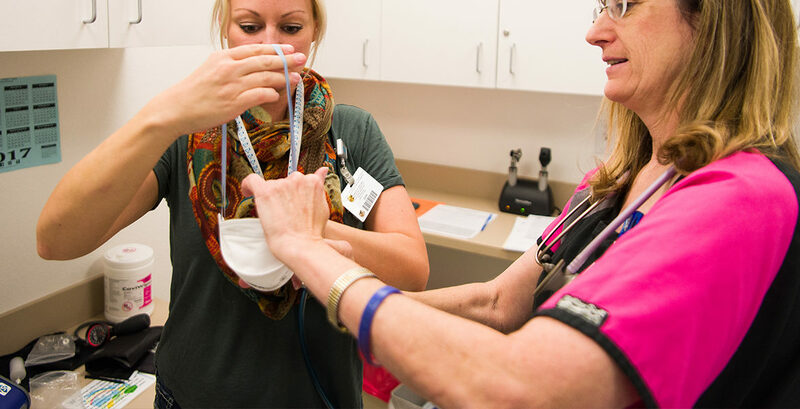 If an employee, student or volunteer chooses not to receive the annual influenza vaccination, they must wear a respiratory mask during the designated flu season as determined by the CMMC Infection Prevention Physician. Please review the Influenza Vaccination policy EMP-HLT 101 located on the Intranet under Hospital Policies and Procedures for the full details. CMMC begins vaccination in October of each year. 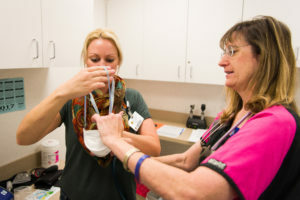 The vaccine is available for employees, students and volunteers at the annual Flu Clinics, held in conjunction with the Annual In-service, which is mandatory for all employees. Vaccination is also available on a walk-in basis during the standard CMMC Employee Health office hours. The influenza vaccine is available to these groups until the end of the traditional flu season, which is usually marked as April 1st of each year. CMMC provides an annual health screening for their employees, and spouses, on the insurance program as part of a wellness benefit to encourage their employees to focus on maintaining a healthy lifestyle. CMMC believes the best way to protect and maximize your health is to start with a health screening. Health Screenings are important for early detection of disease or other possible health problems. The Health Screening is held on campus and includes a health risk assessment, vital signs, height and weight, body mass index and lab testing. The lab tests covered include: Complete Blood Count, Complete Metabolic Panel, Hemaglobin A1C, Thyroid test, Cotinine and Cholesterol levels. CMMC male employees over the age of 50, will also have a prostate level checked. Following the screening, employees receive a report that reviews all of their results and includes annual result trending if the employee participates every year. You can request copies of your health records on file with CMMC Health Services by completing the Request for Records / Signed Consent to Release Records form. The request form and consent can be faxed to the Occupational Health Services office at 406-535-6607. Please allow two business days for your request to be processed. You can pick up your records after 2 p.m. on the second business day. Please be sure to bring a valid ID in order to retrieve your copies.